Linux. Much More Than Penquins. You may have noticed that several computer manufacturers are beginning to offer desktop and notebook computers with Linux operating systems. Because Linux is open source software, you may also have noticed that the price for these computers is significantly lower than a Windows PC or Apple Mac. If you are considering a new Linux computer purchase, or if you’re interested in installing Linux on your current computer, the article below provides helpful information and links. Linux is an open source operating system that was originally developed by Linus Torvalds while he was a student at the University of Helsinki in Finland. He released version 1.0 of the Linux Kernel, the heart of the operating system, in 1994. Linux is published under the GNU General Public License and the source code is freely available in the Linux Kernel Archives. How many Linux operating systems are there? Many software developers have added their own code to the Linux Kernel, creating customized versions of the operating system called “distributions”. There are many distributions of Linux, but the most common versions used in homes and small businesses are Red Hat, Debian, Ubuntu and Fedora. I currently use Windows, but I’m considering a switch to Linux. Where can I learn more? 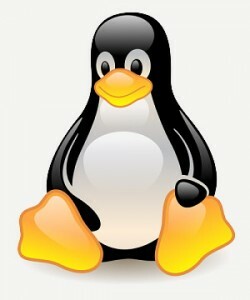 There are several websites devoted to promoting Linux, but if you’re interested in learning about the various distributions of Linux to determine which version suits you best, please visit Linux.com. Windows users may find these video tours of installing the Fedora and Kubuntu Linux distributions helpful, as well. There are also ways of running your PC in a dual-boot mode that allows you to run both Windows and Linux. For more information on dual-boot configurations, please refer to “A quick intro to Linux for Windows users” on Linux.com. What are the minimum system and hardware requirements? Specific minimum requirements for running Linux operating systems vary depending on the distribution you plan to use. Generally speaking, your computer should meet the system requirements below. Web Browser: Firefox is most commonly recommended, along with Netscape or other open-source browsers. I’ve got Linux, now how do I get help? If your version of Linux came pre-installed on a computer you purchased, contact the manufacturer. Some manufacturers offer full support for Linux operating systems and can answer most of your questions about installing additional software and drivers, navigating the operating system and working with files. Other manufacturers do not provide support for Linux and will refer you to the support forums for your Linux distribution for assistance. You’ll find links to the most common distributions in the table below.